Eat Bulaga co-host and actress Pauleen Luna greeted her boyfriend 'Vic Sotto' on his birthday. The relationship of the two celebrity are seems going strong as years go by. For the record, Vic Sotto is celebrating his 60th birthday today! April 28, 2015. "To my very best friend, my deepest love, may God bless you abundantly with blessings that no man can buy. From the bottom of my very happy heart, I love you! Happy Birthday!" 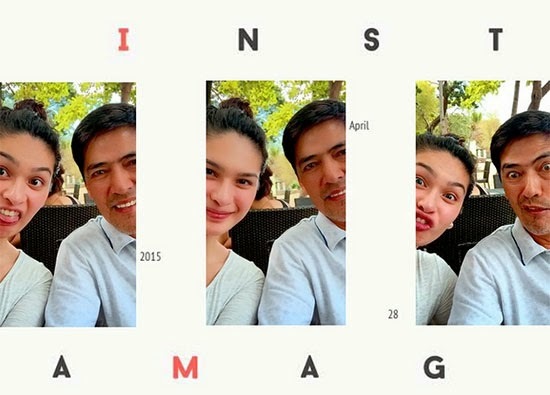 December 2013 is the official date when Vic and Pauleen declared as officially in a relationship. And this is another evidence that 'Age doesn't matter' for the two people who are fall in love even they have a 34-year age gap. According to ABS-CBN News, Luna even said in a previous interview that she already sees Sotto as the man she will spend the rest of her life with. "I guess I can say that, oo,” she said at the time. "Wala namang problema ang pamilya ko." Comments or suggestions about "Pauleen Luna's birthday message for Vic Sotto" is important to us, you may share it by using the comment box below.